This executive computer chair will have you basking in comfort. The Boss Black Leather Plus Executive Office Chair is ergonomic and offers lumbar support. 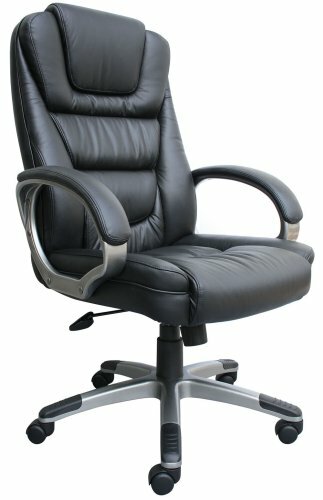 Complete with adjustable height and comfort padding with cascading design to eliminate leg fatigue, this Boss Computer chair gives you superior comfort at an exceptional price!